You are currently browsing the category archive for the ‘Book Signing’ category. Two Events Added for May 2012! Email kspirito@kspirito.com for dates and locations of these two events scheduled for May 2012! On Saturday, June18, 2011there was a Book Signing for the NEW Yesterday, Tommy Gray Drowned and Candy-Colored Clown at the Barnes & Noble Bookseller in Salem, NH. Our sincere thanks to Mary Ellen for asking us back to the Salem B&N store for our sixth event at this wonderful store since September 2010! Once again we had an incredible event; meeting many new and old friends. This time featuring the New Yesterday, Tommy Gray Drowned and the New Candy-Colored Clown, which were both just re-published by A Snowy Day Distribution & Publishing! Your continued support at our book events, as well as supporting our Nook and Kindle sales, are bodacious! Next Saturday, June 25, 2011, Sal and I will be at the Plaistow Old Home Day, at Pollard Park in Plaistow, NH. See you there! The first event for the New Yesterday, Tommy Gray Drowned was at the Manchester B&N and was incredible! Don’t miss out on the fun on June 18 at the Salem Barnes & Noble! They will also feature the New Candy-Colored Clown. Both books make great Father’s Day gifts! Computer issues have kept me off the air, so I’ll be brief and get this posted. We’ll see you there! This was an incredible event! Sincere thanks to all the bodacious people who bought a tremendous number of Yesterday, Tommy Gray Drowned; Summer And August; and Candy-Colored Clown! 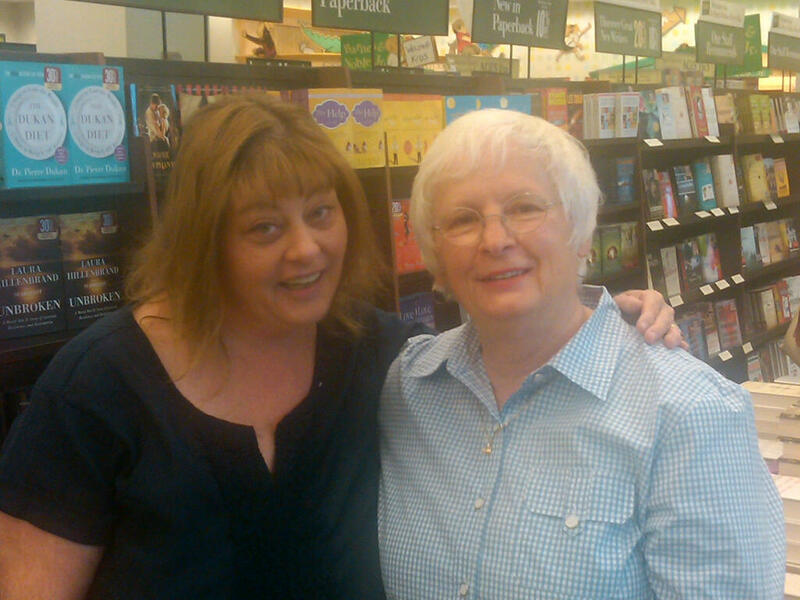 Sincere thanks to all the wonderful associates at the Manchester Barnes & Noble; especially Claire and Karen! Sal’s second author, Kathryn LoConte had a great day at the Salem Barnes & Noble, with Searching for Saffron, at the same time as us! Next week, May 14, we have a personal event, but you can catch up with Sal’s third author, Michelle McCorkle, with Angel of Mercy, at the Salem Barnes & Noble. And/or Kathryn LoConte at the Toadstool Bookshop in Keene! The following week, May 21, we have a private event with the Monadnock Writer’s Group; Michelle will be at the Toadstool Bookshop in Keene! After that, on Memorial Day weekend, we return to Yellow Umbrella Books on Cape Cod on the anniversary of the first event for Summer And August! Lots more going on this summer. Keep coming back! Saturday, May 7, 2011 is the First Event Ever for the NEW Yesterday, Tommy Gray Drowned. At the Barnes & Noble Bookseller in Manchester, NH at 2:00pm. We had Birthdays, Retirements, Concerts, Expo’s and more! We have a lot going in May. Our very first event for the NEW Yesterday, Tommy Gray Drowned, A Murder Mystery. Yesterday, Tommy Gray Drowned is the sixth book published by A Snowy Day Distribution in our first year of business. If you read the original you will have answers to questions left hanging. If you have not read the original you will certainly find Yesterday, Tommy Gray Drowned, A Murder Mystery an emotional experience. Sal and I hope to see you at the Barnes & Noble Bookseller in Manchester, NH at 2:00pm. But if you can’t make it there we will be speaking to the Monadnock writers Group on May 21st and then at Yellow Umbrella Books, in Chatham, MA, on Cape Cod on May 29, 2011 (which is the one year anniversary of Summer And August). Much more coming up this Summer and Fall!